The James R. Thompson Center and Chicago’s Roman Catholic churches are among Preservation Chicago’s 2019 list of the 7 Most Endangered Buildings. The annual list, just announced at an event at the Chicago Architecture Center, identifies architecturally significant structures that preservationists hope to save from the wrecking ball. This year marks the 17th year the organization has compiled this list in an effort to draw the public’s attention to threatened elements of Chicago’s built environment. This is the third time the James R. Thompson Center/State of Illinois Building, Plaza and Atrium has made the list. 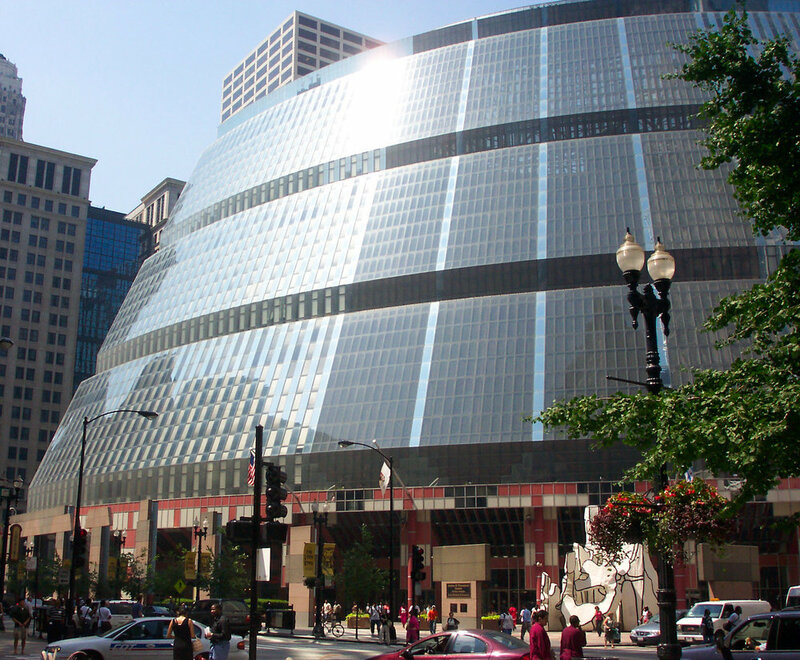 Preservation Chicago notes that since the Thompson Center was built in 1985, the building’s design and engineering challenges of the space have been a contentious topic for the city. However, it is an iconic representation of Post-Modern design by world-renowned architect Helmut Jahn and is worthy of preservation. 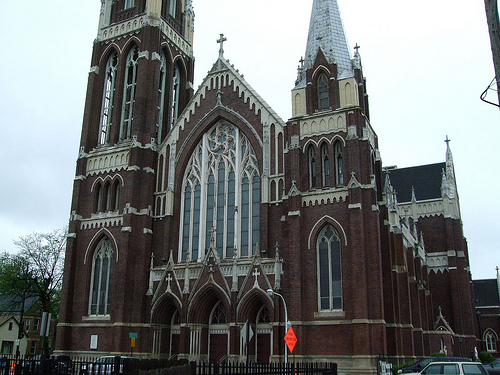 Many of Chicago’s Roman Catholic churches were designed by some of America’s greatest architects and most recognized architectural firms. The church buildings which have made the list are both gateways and landmarks in their communities; more than religious centers, but also community centers. Throughout its history, Preservation Chicago has remained an organization committed to the idea that all preservation is local. You can learn more about the organization and the rest of this year’s list here. 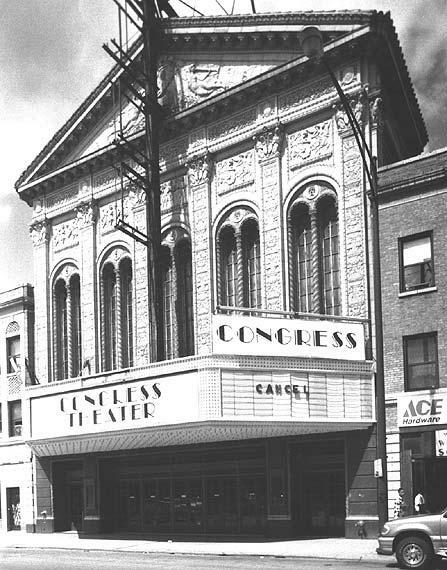 Last December, my blog asked the question “Can the Uptown be saved?” Earlier this month, that question was answered when the city’s Community Development Commission signed off on a $75 million plan to renovate the 93-year-old Uptown Theatre. The City of Chicago has worked to protect and preserve the Spanish Revival-style building for several decades. In 1991, it was designated a City of Chicago landmark to preserve its exterior and interior from alteration or demolition. The plan calls for exterior work to repair the building’s masonry and terra cotta and improve marquees and related signage, among other repairs and improvements. Interior improvements will include new elevators and concession stations, new mechanical, electrical, plumbing and life-safety systems. Restored decorative finishes, new seats and a reconfigured first-floor will increase total capacity from approximately 4,100 to 5,800 people. According to The Chicago Tribune, the lead architects of the restoration will be the Lamar Johnson Collaborative. Block Club Chicago posted some amazing photographs of the interior of the grand movie palace, portraying the size and scope of the work ahead. If all goes as planned, the restoration will begin in August 2019. But as Kamin points out, buildings are commodities and the companies that create them rarely stay in them - and he raises the question if the building's new owners can "Change the use but maintain the character." I often talk about my belief that every building has a story to tell. The Tribune Tower, completed in 1925, speaks volumes. As an example, the tower features carved images of Robin Hood and a howling dog near the main entrance to commemorate the architects, John Mead Howells and Raymond Hood. The top of the tower is designed after the Tour de beurre (″butter tower″) of the Rouen Cathedral in France. But perhaps more fittingly, the historical fragments embedded in the building's facade (collected from sites like The Parthenon and the Berlin Wall) remind us that nothing, in fact, lasts forever. The newspaper's relocation and the Tribune Tower's conversion to a mixed used development seems to underscore the impermanence of a seemingly permanent structure. But with care and attention, the neo-Gothic structure at 435 N. Michigan will grace the Chicago cityscape for years to come. Like many of Chicago's landmarks, we hope the Tribune Tower has another durable, sustainable chapter in its ongoing story. 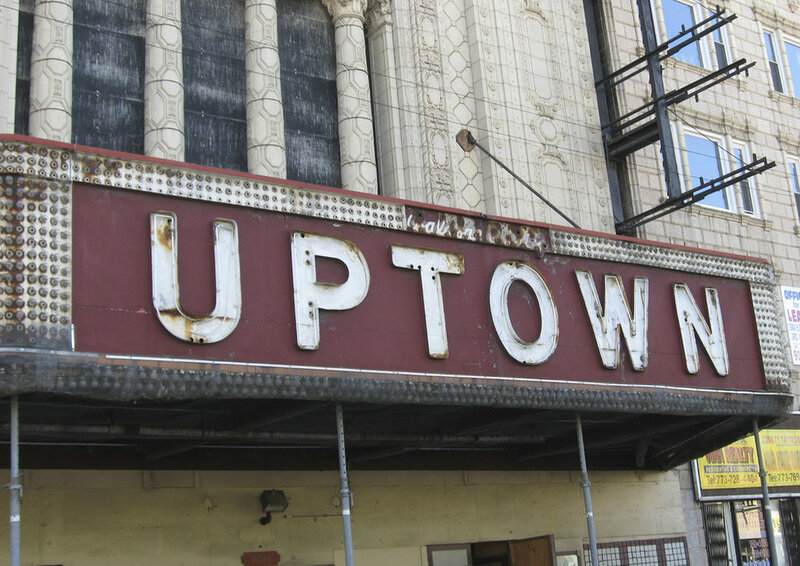 Earlier this year Preservation Chicago joined the effort to save a Chicago landmark - the Uptown Theatre. The organization has asked those concerned with historic preservation, neighborhood vitality and the economic future of the city to sign and promote the “Mayor Rahm Emanuel: Restore the Uptown!” petition. The Uptown is often described as a massive, ornate "movie palace" located in Chicago's Uptown neighborhood. It opened its doors on August 18, 1925. With 4,381 seats, the Uptown's interior volume is said to be larger than any other movie palace in the United States, including Radio City Music Hall in New York. It has been closed to regular audiences since 1981 and preservationists are concerned that something needs to be done now to prevent permanent ruin. "If this isn't resolved soon, this building will continue to deteriorate," says Ward Miller, executive director of Preservation Chicago. An article by Mark Guarino in last week's Crain's Chicago Business details plans that have yet to materialize. There are certainly barriers to it's restoration, but many are still working to overcome those barriers - including Friends of the Uptown. As Ald. James Cappleman, 46th Ward is quoted: "I believe that next chapter of the story of this great theater will be written very soon, and there has never been a better time for this project to move forward." We will see what 2018 brings.